1. 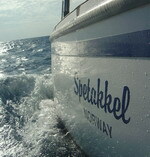 I am about to change my through hulls on my boat, what is best?. 2. What if one brake or fall out? What type of through hulls you should use entierly depends on what kinf of boat you have. If it is steel, fiberglass, ferro-cement or aluminum. The dealer should know what is best for youer boat but in my opinion it is more important that they are mounted correctly and if you don't do it youerself at lest be there to watch when they are mounted. There is nothing wrong with the plastic ones but really on a cruising boat a more expensive and sturdy one should be used. - On a fiberglass boat a good tip is to put another layer of glass on both sides of the hole while you are at it. It can easily be done and it makes the fastening much better. - If you buy a used boat and want to check the through hulls grab on to the inside and try (without using excessive force) to pull it out and/or shake it hard. If it falls out or the hose brakes, well then it needs to be replaced and you have work to do but a lot less than if it brakes while sailing. Besides falling overboard, collision or capsize the greatest fear while sailing is to lose a through hull and sink. This fear can effectivly be eliminated by having through hulls you trust and being ready for the eventuality of loosing one. A lot of water will of course flow into the boat if you lose one but is should be fairly easy to handle if you are ready for it. - Always mount a valve on the inside close to the hull so you have the option of closing the valve if you have a leek or the hose brakes another place in the boat. - Keep the access to every hull accecible, this might not be easy but at least know what you have to move to get to it. Don't jam things too tight in these places. - Either have a coned wood stick close to the hull (tied with a string) ready to drive into the broken hull or at least know where you have youer cones. 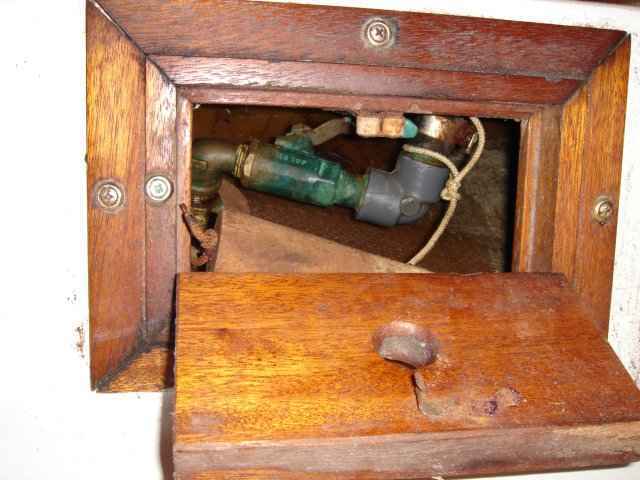 - Ït is a good idea to close all valves on the hulls when you are leaving the boat unattended for a longer time. After the accident you might have a lot of water inside the boat and it is time to start pumping. If youer engine is dry enough to run it is a good idea to have previously mounted a Y valve on the cooling water intake with a short hose going into the bilge. 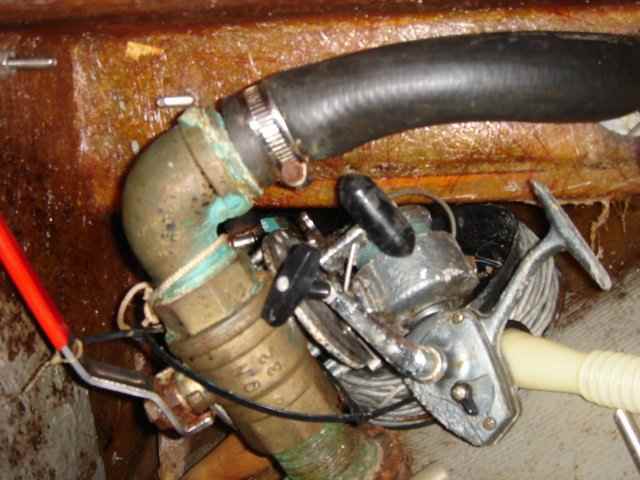 You can then switch the Y valve to start sucking cooling water for the engine from the bilge instead of the ocean. This should be a good supplement to the little water pump normal boats are equipped with. Of course this is a bit risky if the bilge is dirty but in desperate times you do what you have to do. Clever people can make a little funnel with a screen on to stop bigger pices to be sucked into the engine. I have also heard that it is amacing how much water a desperate man with a good bucket can scoop, every boat needs at least one good bucket. Too much clutter around the hull can make it hard to stop a leak. This is one of my not so accessible hulls but I keep it tidy and have a cone on a string ready to drive into the hole.